The level of service that every guest receives at ESPA in Mondrian Doha is much akin to haute couture in fashion vocabulary — exclusive, intricate, and custom-fitted. Mondrian Doha bustles with glamour, excitement, and fairytale magic that's waiting to be unraveled and explored. 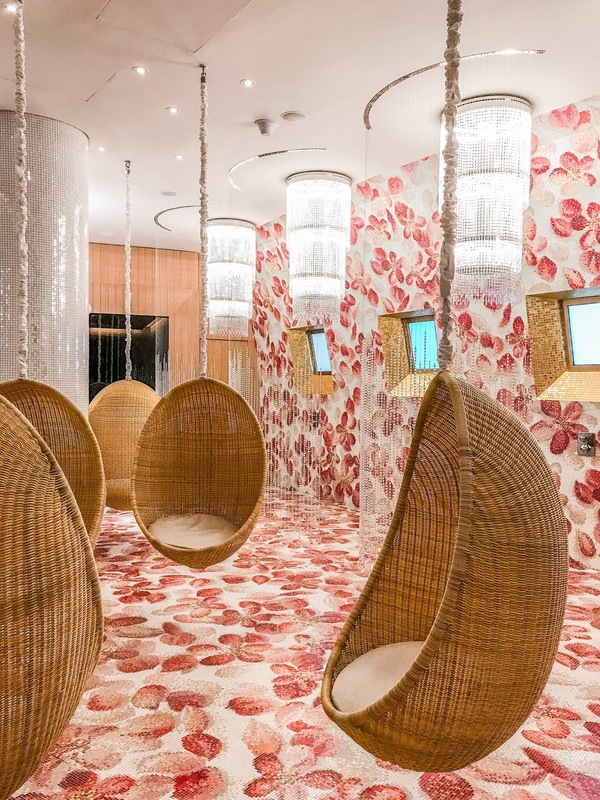 It has brought to life a design-centric hotel extraordinaire that offers a completely different world, thanks to its wildly-creative designer Marcel Wanders who pushed at the boundaries of the most conventional ideals of luxury hotel design. 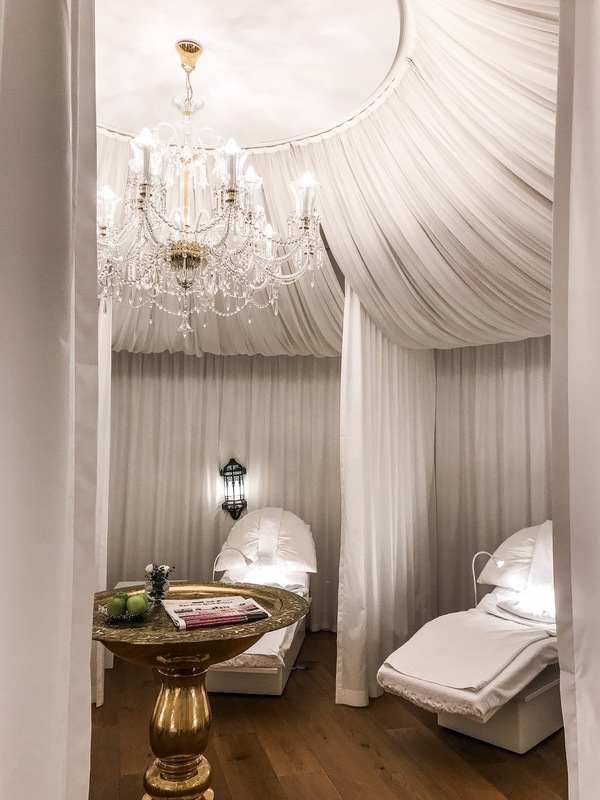 To say I was ecstatic is still an understatement when they extended an invitation to show me around their spa, which is the largest ESPA* in the world and the very first of its kind in the Middle East. Inside the main spa reception, a full range of ESPA products bedecks the wall while some are showcased in an individual glass dome which quite reminded me of Beauty & the Beast's Enchanted Rose. The spa receptionist showed me to the consultation area, where I was given a welcome drink and towel, and a digitized consultation form to fill in. The beginning of my treatment was a brief explanation of what was yet to transpire in the next two hours. It seemed like Snezana and I played a series of 'this or that' game, as she let me select the scented products for my treatment. First, the oil for my aromatherapy massage, and then the products for my personalized 'For You' facial, leaving out the rest of the products that will be determined according to the result of my skin analysis. Skin analysis is done with a specialized lamp with ultraviolet light that can determine your skin type and condition. Snezana identified that I have hypersensitive skin, and assured me all the products she used are natural and wouldn't trigger any allergic reaction. She also pointed out that what causes the acne on my chin area is my diet, and thus advised me to cut back on sugar and oily food until my skin recovers. 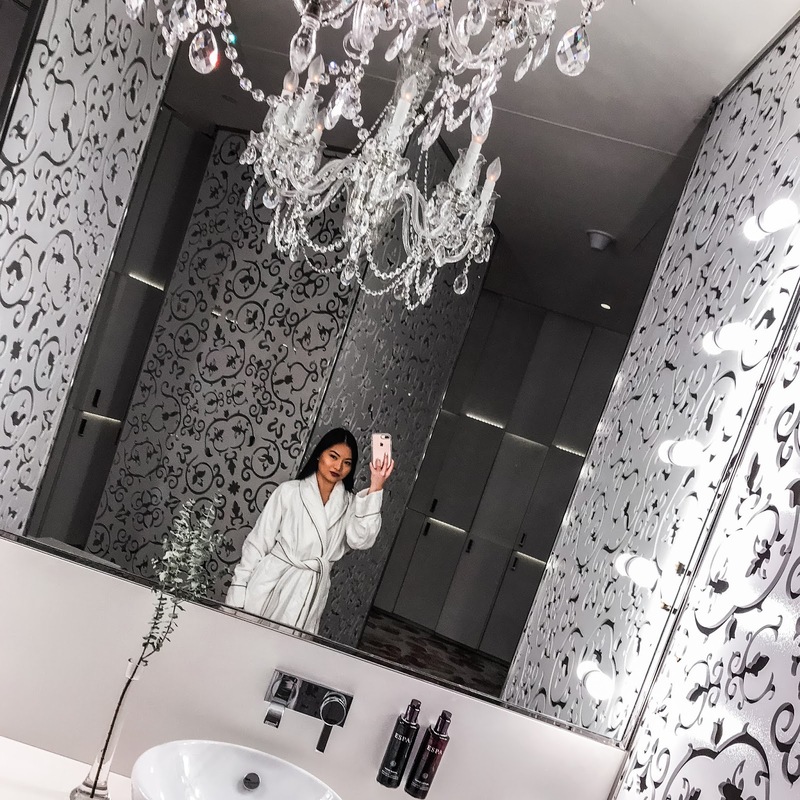 Total relaxation was my sole mission as I embarked on my princess-like ESPA experience. This, I've also reflected in the consultation form when asked concerning the results I wish to achieve after the treatment. 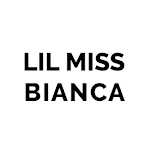 Indeed, my therapist Snezana has turned the spa experience of my dreams to reality, ensuring all elements of my 120-minute treatment constitute to pure relaxation and pampering as I've stated. With my experience, I've come to a conclusion: At ESPA, they truly care about you. They aim to understand and put the focus on your wants and wellness needs, and then tailor their treatment around that. The level of service that every guest receives at ESPA in Mondrian Doha is much akin to haute couture in fashion vocabulary — exclusive, intricate, and custom-fitted. There is so much to say about the level of professionalism of my therapist; Snezana uses her years' worth of knowledge and expertise in her work to provide an impeccable customer service and unforgettable experience that decidedly put me in an utter state of relaxation. 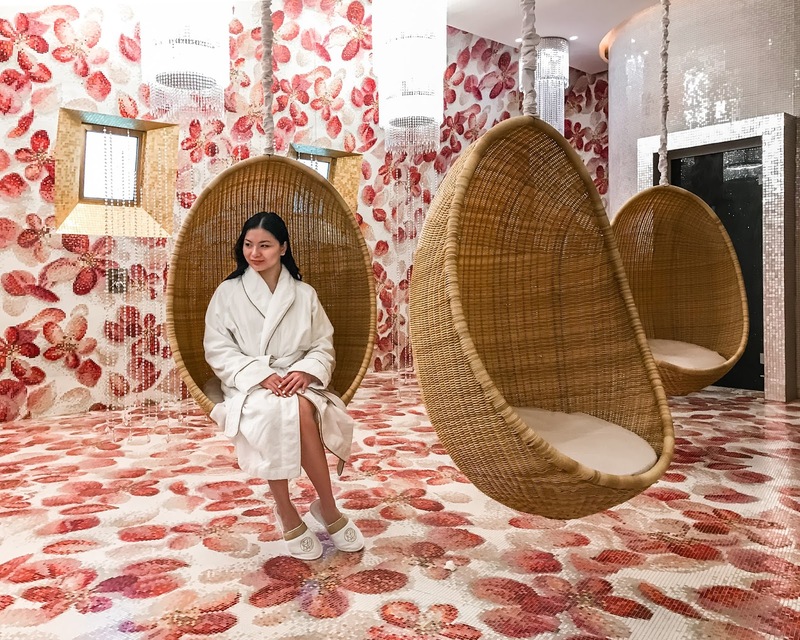 A few reiterations of deep inhales and exhales whilst sipping my freshly-brewed lemongrass tea in ESPA's all-white pristine relaxation lounge in Mondrian Doha is the only way to prolong my state of zen after my lavish treatment. From every picturesque corner featuring the pink mosaic floor and walls that are a work of art in their own right to the Swarovski crystal rain showers, there is a million ways to describe Mondrian Doha's spa facilities, but I'll stick to the obvious: the most beautiful destination spa I have ever seen to date, and dare I say, in the country. Qatar is home to some of the most luxurious hotels in the world, but has never seen anything like it before. 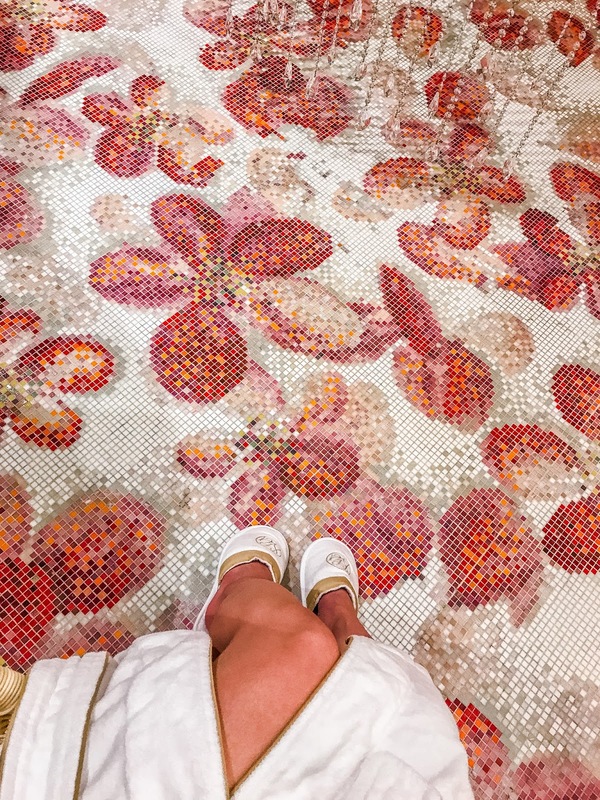 Mondrian Doha promises a "princess-like treatment" for their female spa guests, and delivers just that with beautifully-designed, almost otherworldly spa amenities. Guests can lounge in the suspended pods whilst enjoying their tea or snacks; relax in sauna made from Scandinavian wood and steam room; experience the authentic Hammam; and do their beauty fix at the beauty box or hair salon.